As an unapologetic lover of pretty dresses, I was really intrigued to have a copy of Famous Frocks land on my desk recently, courtesy of the kind folks at Chronicle Books. In this book, authors Sara Alm and Hannah McDevitt have curated a collection of 20 dresses ranging from the 1930's (Bette Davis) through the 1980's (Madonna), and provide pattern sheets and instructions for modern interpretations of them all. The black and white photos of the famous ladies wearing the featured frocks are lovely and the line drawings give a sense of how we could riff on those older versions now, but for an even better sense of how these patterns actually work up, check out the dress photos in the Famous Frocks Flickr pool. If you'd like to try your hand at copying Marilyn Monroe's iconic white halter dress, Audrey Hepburn's perfect little black dress, or even Stevie Nicks' bohemian handkerchief-hemmed number, just enter this week's giveaway. We'll even throw in a set of dressmaking notions–pattern-tracing paper and wheel, Gingher 8-inch dressmaking shears, and a French curve–to help you along! To enter, just leave your comment here or on the corresponding Facebook post. 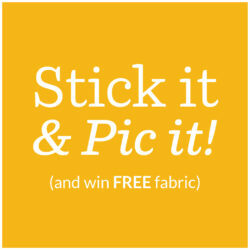 Do include your Spoonflower screen name or other means of tracking you down easily in case you're our winner. Entries close next Tuesday, 7/24 and we'll announce a winner on 7/25. Good luck, dressy divas! This giveaway is now closed and we'll be announcing a winner shortly. Last week, we gave away a downloadable Wiksten pattern and three yards of Spoonflower fabric to make it up in. Our congratulations goes out to giveaway winner Samantha Saville all the way over in Aberystwyth, Wales. Hope you make something pretty, Samantha! I have been thinking about trying to make clothing and this seems to have everything I would need to start! Thanks for the chance. ooh, what a fabulous book, I’ve just begun making dresses and I’m hooked! I definitely need to have this whether I win or not. Thanks for bringing it to light! I would love to win this book and goodies! Thanks! HELLO! WHAT A LOVELY GIVEAWAY! THANKS SO MUCH FOR A CHANCE TO WIN THESE GOODIES! KEEP UP THE GOOD WORK/VERY INSPIRING BLOG! I’m just as into these tools as I am the book! Bring on the French curve! Eeep! Love this! Crossing all my appendages that I win! Oh my! This is such a good giveaway. I would love to channel Marilyn Monroe. I really would love to win this.. I’ve sewn dresses, and it’s my dream to own an “Audrey Hepburn as Holly Golightly” inspired dress! This would be a perfect gift for my mom (she loves to sew)! I would love to win! Great giveaway!! I would love to try them all!! Ooooo I love those dresses! Any chance Maggie the Cat’s dress is in there? Wonderful giveaway – I would love to win this book! Thank you for this opportunity to win such a well put together prize package! I’m about to start a dressmaking and tailoring course and this prize would be a wonderful help! Plus it’d be nice to have some more glamorous clothes to wear, as a new mum who has spent the last few months in clothes with baby sick on them, something classy and stylish would be a real treat! How marvelous! A MUST for any fashion devotee. I just started sewing about 2 years ago, and want to learn how to use patterns. I make clothes for my two kids (8 month old boy, and a 3 year old girl) but have never made anything for myself. I would love to start with Audrey’s iconic black dress! Also, I’m turning 30 this week! OOOOH pretty please! Fabulous giveaway! Then again, your giveaway’s are always fabulous! Thank you for the opportunity! OOOOOO! I WOULD LOVE TO WIN THIS! I’d love to experiment with this book and some Spoonflower fabric! I would love all of these items – especially the French curve! Gorgeous!!!!!!!!!!!!!!!!!! I would love to win this :)! I love all the Spoonflower giveaways 🙂 This one has some new-to-me tools. I find it really hard to locate patterns for iconic frocks that are any good. these look fantastic and the tools really useful. At least I am ahead, with a ‘Marilyn’s ***’. With a dress like their’s, chins would fall to the floor. To present her with this, would make me #1 mommy…. What a fabulous book! I hope to win and make 1 of each dress in there! So cool! I’ve got my fingers crossed for this one; thank you. I’m corvus on spoonflower and corvus.melloriATgmailDOTcom hits me just fine. I have just spent 2 hours browsing fabric choices… I think I have found my new addiction! So many beautiful, different fabrics… how do you choose? Should I be having this much fun looking at fabric? I’d love to check out these dresses! And the gingher shears. Fabulous, indeed! Could sure use those notions. I think that a sewing gal can never have enough. looks as a terrific book! great kit! WOW…what a great prize…Looks like fun! I was browsing through this book at the store and put it on my wish list. I’d love to win it! What a great addition to any designer’s shelf! This book would be very cool to have. I love trying to recreate clothes I’ve seen into something that would look good on me. What a great book and extra goodies! I’d love to give those patterns a try! Thanks so much! I would love the little black dress, Unusual and way cool giveaway..thanks! Oh, what an exciting looking book!!!! I want to read it!!!! This is my kind of giveaway! Totally my style. I love it! Great as usual. Such a neat book. Adding this to my wish list. I have not seen this book yet! Would love to win. Love your fabric and would love to have these goodies! I would love to have this lovely book. So into retro fashion! Ooo please. I wish I could master this! I just love Spoonflower! Thank you for the chance to win this amazing book. It looks like an amusement park for all of us who love to sew. I hope I win, I am ready for my first ride! I simply adore vintage fashion and this would be a fabulous thing to own and the tools to sew something up with would be great too. Thanks for the opportunity to win. Just unpacking my NEW! SEWING ROOM! and looking for a great summer project. Iconic dresses? Yes, please! This sounds too good to be true! I know I can use some of these beautiful designs for myself and my daughter. There’s something so special about retro designs. The other prizes are wonderful, as well! Thank you and Chronicle Books for this beautiful package! Would really feel inspired and grateful to win ! I’ll share with my sister. I’m the designer – she’s the sewer. We make a good team – plus we both have birthdays coming up soon. What a great gift to win. I’ve had my eye on this book for awhile. It would be lovely to win it! I’ve just started down the path of clothes for adults and been using these shapless patterns with no darts. This looks like a great book to start me on the next step. Would love to have a french curve too as veryhing here is in metric, making it hard to measre imperial! I sewed all my maternity clothes back in the day. I could NOT deal with sailor collars on everything…this is a great giveaway! looks fabulous. thank you for the chance!! This one I would LOVE to have. Who could be more fabulous? Well. I agree with others…if I don’t win, I need to find this book and purchase it. Thanks Spoon! As a current Parsons design student I would love to win this giveaway! Ooooooooh I totally know which fabric I’d want to use and these are just the tools and book to use it on. What a nice giveaway. Count me in! The book and set would be a great addition to any crafter’s collection. Wow!!! I love dresses! I looked at the pictures….and want to make them all! They are wonderfull. Saw some beautyfull fabrics here on Spoorflower, that would look a dream with these patterns. This giveaway is delightful! As a sewing instructor, I can tell you that there is a ton of interest in these vintage looks. It will be fun to share this book with my students when I win! Oh, what an amazing giveaway! Just have to get Audrey Hepburns figure in preparation now! Thank you for the book’ selection in your blog, my shop list in amazon is fullllllllll…. 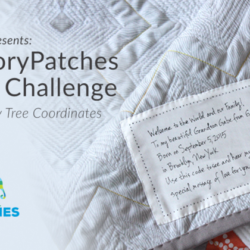 Love the idea and would love to win. What a fab. book! Fashion, Costumes, Textiles, Art. Spoonflower is the best! Oooh, I’m really getting excited about vintage clothing, especially dresses (and hats!). Dreaming about creating some of this has been a great motivator for other personal changes. It’s a great way to stick to weight loss commitment, much better than a little bitty bikini! Thanks for helping to make stuff fun! Really loving sewing again after many years of “not sewing.” I have been wanting to learn more about garment construction and using the “tools of the trade.” I’m also delighted that there is now a company that will print your own creative graphics on fabric! Sure hope I win !!! This seems like an awesome book. Count me in too please! thanks! I would Love to win this! oh my gosh…..i would so love to have a french curve…….fingers crossed! What a fantastic giveaway. Thanks for the chance! oh man, this is *so* up my alley. as a textile designer and vintage seller this book would be an amazing resource! my spoonflower username is youngcaptive. A friend has just told me after your fabulous company! As an avid user of vintage patterns, I would love to have this book. Thank you for entering my name! As a costume designer I’m always looking for books explaining the unique cutting and sewing techniques of clothing from all periods in life. This would make a wonderful edition to my costume drafting library. Thanks for the opportunity to enter and possibly win. Oh, I’d so much like to win! That book looks great! I would love to try some of these classic looks! I have been a movie lover and sewer for many years,and even went to Parsons. Thanks for the contest! Wow! What a fabulous giveaway! Fingers crossed here. 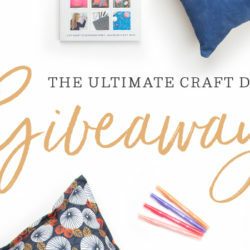 What a great giveaway – this would help so much in my custom retro sewing! Everyone wants iconic fashion! I would love to make an infamous frock with this — for my son’s girlfriend, not me! Am I too late? I would love a chance to win this lovely prize pack. Fantastic Book and notions. What a great giveaway! Thank you for the chance to investigate garment history and possibly recreate with spoonflower fabrics.